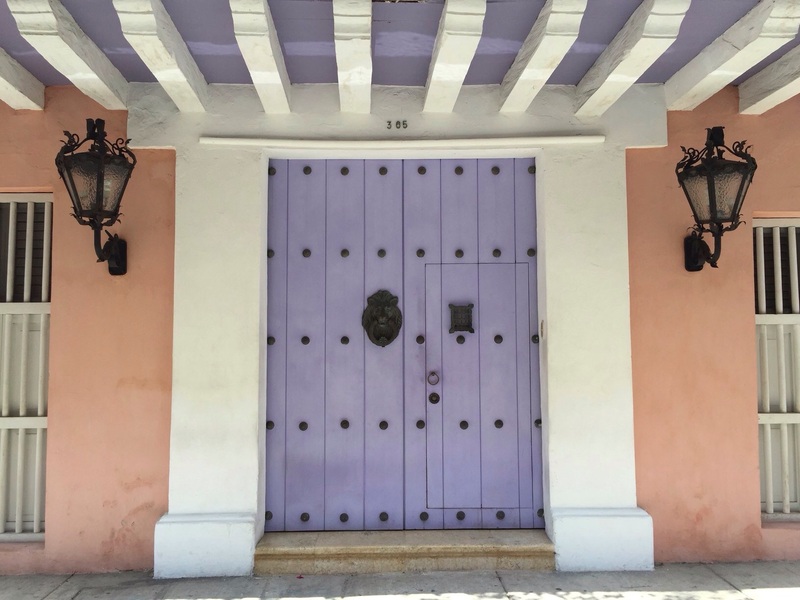 A lavender door in Cartagena, a UNESCO World Heritage City. “The very life of the colonial city was an illusion of memory.” Gabriel García Márquez Love in the Time of Cholera. My first impression of Cartagena de Indias was of its doors. Some were closed, others open, but they were all beautiful, redolent of a deceased Spanish power that was ultimately unable to control the collision of races and cultures populating its New World and that still search for ways to share life together. 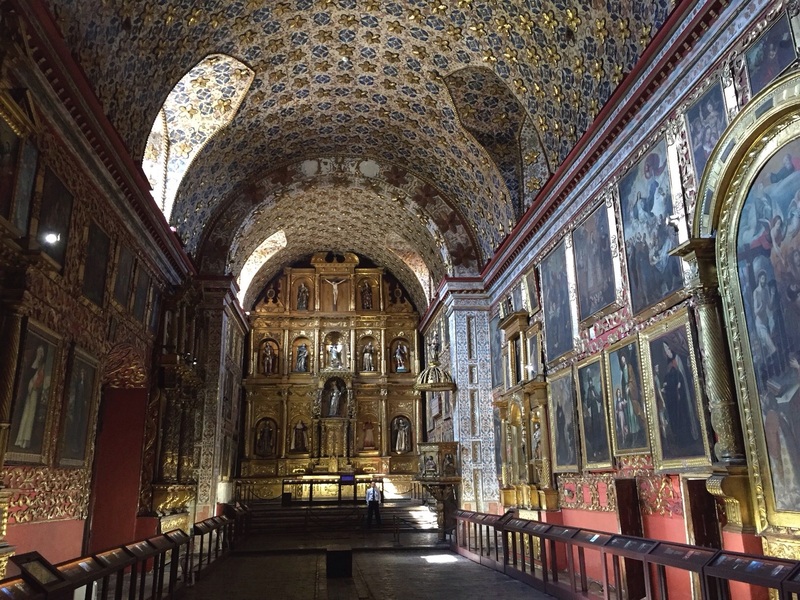 In Cartagena, Beethoven’s Fate slams on doors with weighty brass knockers, ancient Janus opens both ways, while Márquez’s dogmatic Bishop in Love and Other Demons conducts his exorcisms with the eternal pounding of sinister fear. Morning light on Bogotá’s cathedral in Plaza Bolívar. 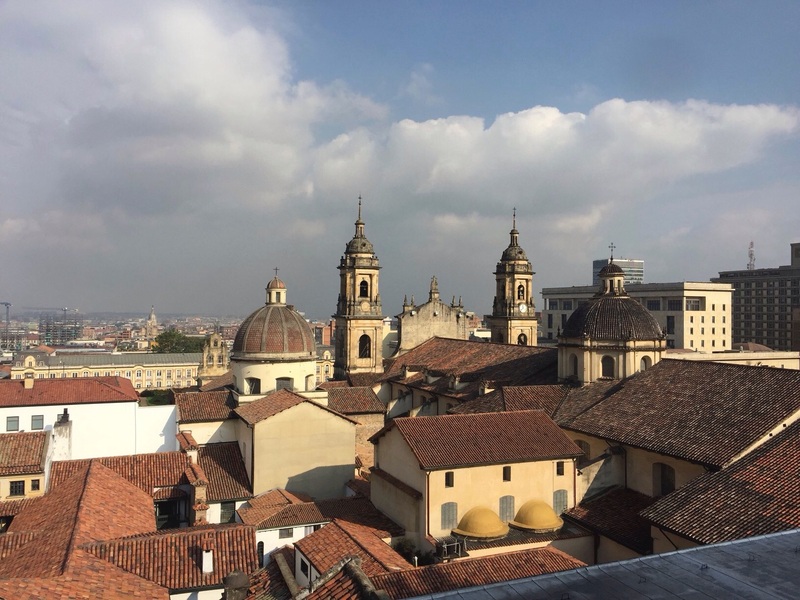 I’ve just returned from my first trip to Colombia, where Jan and I visited the cities of Cartagena and Bogotá for a series of meetings for the next Los Angeles International New Music Festival. We decided on going to our American neighbor for two reasons. One was the encouragement of Tambuco’s director, Ricardo Gallardo, who has been helping us get a handle on the new music and cultural scene of Latin America and urged us to begin with Colombia. The other reason was our hunch that the achievement of Gabriel García Márquez was not a fluke. Behind such impressively great literature had to be a deep well of culture.